Celtic opened up a three-point lead at the top of the Scottish Premiership with a narrow win against a battling Ross County. Kris Commons tested County goalkeeper Antonio Reguero with a well-struck free-kick late in the first half. But Commons did beat the Spaniard early in the second period with the aid of a huge deflection off Paul Quinn. 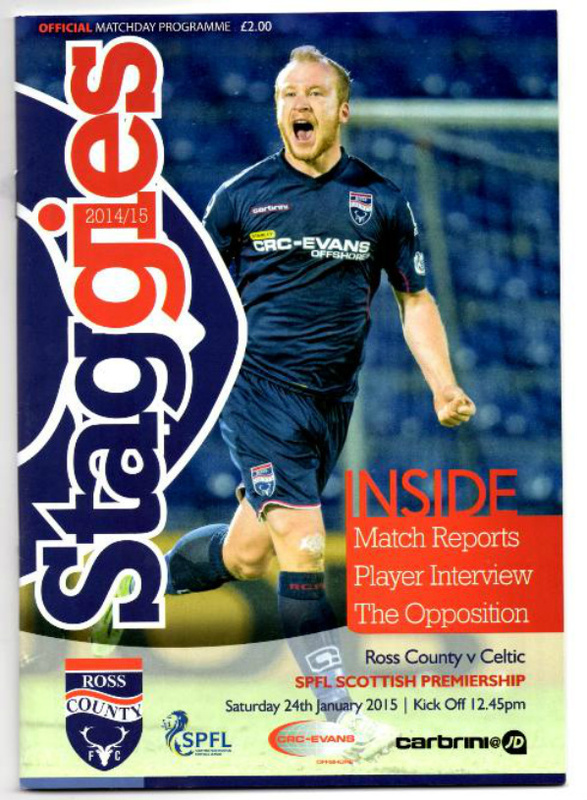 Liam Boyce came close to equalising for the Staggies, his shot flashing wide of the right-hand post. Despite a superb battling performance County ended the day still four points behind St Mirren, who lost to Dundee. The Highlanders were badly exposed in their first encounter with Deila's men this season - a 5-0 defeat - but appeared to have heeded that lesson with a scoreless draw at Celtic Park before the turn of the year. Celtic got the better of a closely fought contest in the Highlands. County boss Jim McIntyre had emphasised the need to show the same discipline demonstrated in their Glasgow performance but also wanted his side to offer a goal threat. Craig Curran tried to see to the latter, his ambitious long-range drive drifting narrowly wide of Craig Gordon's goal in the opening minutes. Commons headed over a fast-moving Emilio Izaguirre cross from almost underneath the crossbar and John Guidetti - back in the Celtic starting line-up - curved a free-kick narrowly wide. An awkward shot by Graham Carey bounced up off the chest of Gordon and a shot of similar strength by Commons was blocked by Boyd moments later. Commons assumed free-kick duties after being fouled by Filip Kiss, which resulted in a booking for the County midfielder, and Reguero did superbly well to palm the curling strike to safety at full stretch. A quick counter attack at the beginning of the second half almost gave Celtic the lead as Izaguirre, Commons and Guidetti combined to put Leigh Griffiths through and, after Reguero blocked well, Guidetti's attempt to convert the rebound was diverted wide by Jamie Reckord. County may have escaped on that occasion but fortune did not smile on the hosts moments later when Commons let fly from distance. The shot caught Paul Quinn's calf and the change in trajectory completely outfoxed the helpless Reguero, who could only watch as the ball looped high into the net. Commons' goal was his first in the Premiership since September. Celtic held their lead with a degree of comfort but were eager for a second. Guidetti flicked a shot over before being denied by an unorthodox and risky foot-led tackle by keeper Reguero following Griffiths' teasing centre. Commons, who was soon replaced by Stefan Scepovic, was foiled by a melee of County defenders after rounding Reguero. County sensed the opportunity to level in the final 15 minutes and Boyce's effort from the left had Gordon sprawling as it missed the far post. Scott Boyd drew a save from Gordon with a volley from the edge of the box and, in the final minute of regulation time, the keeper ensured a Celtic win by saving Quinn's header.